The rapid expansion of the market for confectionery-based supplements and over-the-counter medication is being driven by consumers looking for easier and more palatable delivery methods than pills or capsules. These delivery methods include new gummy formats for vitamins, minerals and supplements, as well as established hard candy applications such as remedies for coughs, colds and sore throats. Functional gummies and jellies can be fortified with a variety of healthy ingredients, including fruit juices and real fruit pieces. Medicated products include ingredients such as antiseptics, menthol and eucalyptus oil. 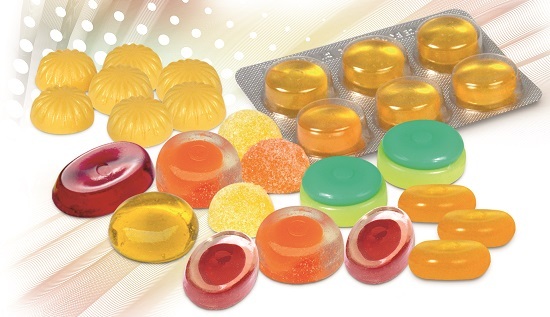 The use of hard candy for medicated products – such as cough sweets and throat pastilles – is well established: the smooth mouth-feel and slow, continuous release of the active ingredient from hard candy maximises the therapeutic benefit. Functional confectionery extends from boosting the intake of essential nutrients - such as vitamins, minerals, fibre and protein - to adding beneficial supplements such as folic acid and Omega-3 to the diet. The sector also extends to sports nutrition, where candy is ideally suited to portable and convenient energy and recovery products. 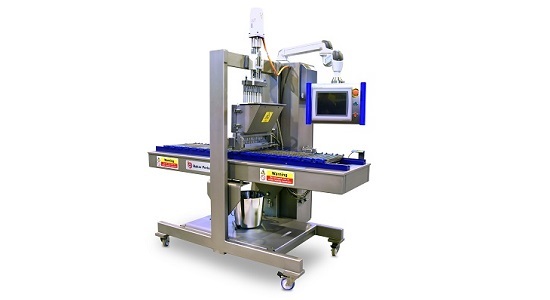 The ServoForm™ Mini is a small batch / lab-scale depositor that deposits candy syrup or fruit paste into solid moulds at rates of up to 54kg/hr. 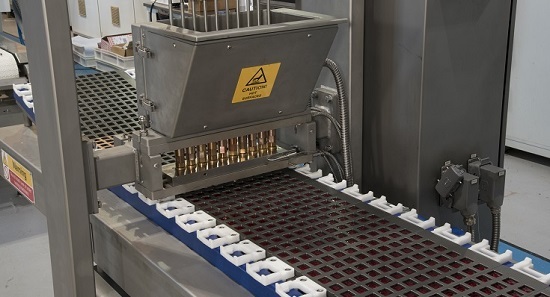 Ideally suited to the functional and medicated confectionery sector, it has the flexibility to produce gummies, jellies, hard candy and lollipops on the same machine: switching between formats is simply a matter of using different moulds. Applications include small to medium batch manufacture, new product development and production of marketing samples. Many gummy products are made using a starch moulding process that is incompatible with cGMP and incapable of validation. The ServoForm™ Mini uses a starch-free process with many hygienic characteristics – solid moulds, non-contact ejection system, a fully automatic wash-through function and no recycling of starch – that make this the only viable process for the healthcare confectionery sector. The hygienic nature of starch-free depositing adheres to the principles of cGMP, and the process is capable of validation to FDA/EMEA standards. 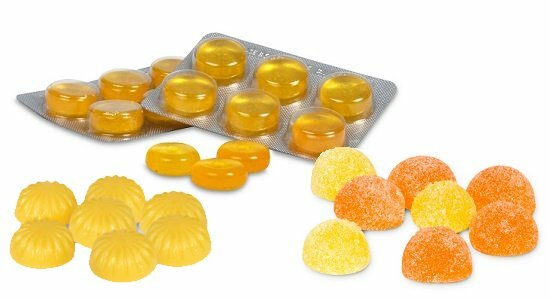 In addition to hygiene, high product quality and low production costs help to make depositing an even more convincing alternative to starch moulding for gummies and jellies. Starch-free depositing is more efficient and significantly more cost-effective in every aspect: capital cost, floor space, energy consumption, labour and consumables. Depositing also offers overwhelming advantages for the production of hard candy and lollipops. Superior appearance, high clarity and rapid flavour release with a smooth 'mouth feel' are some of the key quality advantages compared with die forming. The nature of the starch-free depositing process creates complete control throughout the system, leading to extremely high dimensional, shape and weight accuracy, negligible scrap rates and efficient wrapping, plus maximum hygiene with low maintenance. Another characteristic of the process that makes it essential for the successful production of medicated and functional candy is that there is high accuracy throughout the mixing, cooking and depositing processes: exactly the right proportion of active ingredients is added, every deposited piece is precisely the same weight, and the process is reproducible. 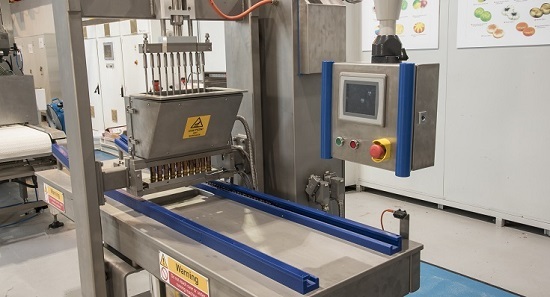 Baker Perkins is the leading supplier of high-output starch-free depositing systems to the confectionery industry. The ServoForm™ Mini uses the same process and control technology as larger systems, so scaling up to production volumes of between 200 and 1,000kg/hr is easily achieved. Simplicity of operation, flexibility and rapid changeover are major operational benefits. Process control is fully automatic with recipe storage and recall enabling the depositor to be set up at the touch of a button.